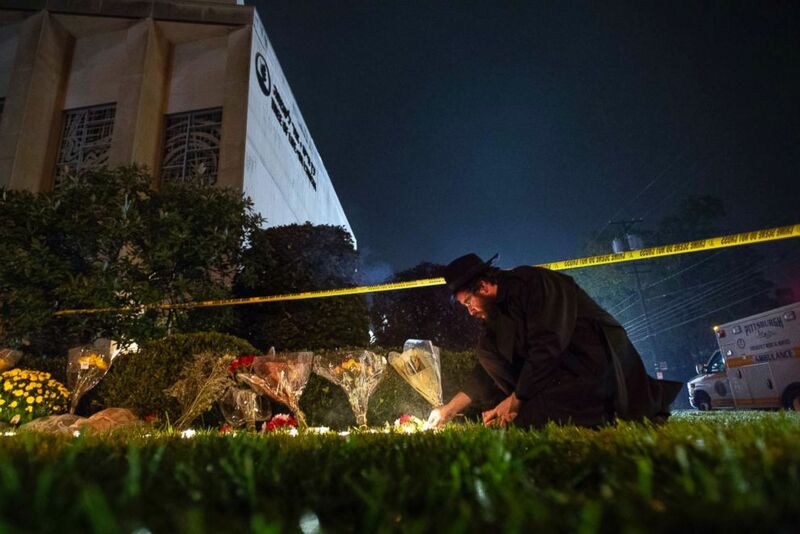 From schools to synagogues to newsrooms, reports of an "active shooter" have become more and more common in American life and a new FBI report says there were 27 such incidents in the U.S. in 2018, resulting in 213 casualties including 85 deaths. "As in past years, citizens were faced with split-second, life-and-death decisions. In 2018, citizens risked their lives to safely and successfully end the shootings in five of the 27 active shooter incidents," the report reads. "They saved many lives. Given this reality, it is vital that citizens be afforded training so they understand the risks they face and the options they have available when active shooter incidents are unfolding." The FBI defines an active shooter as "one or more individuals actively engaged in killing or attempting to kill people," formal language that doesn't fully convey the horror of shootings that repeatedly shocked the nation. 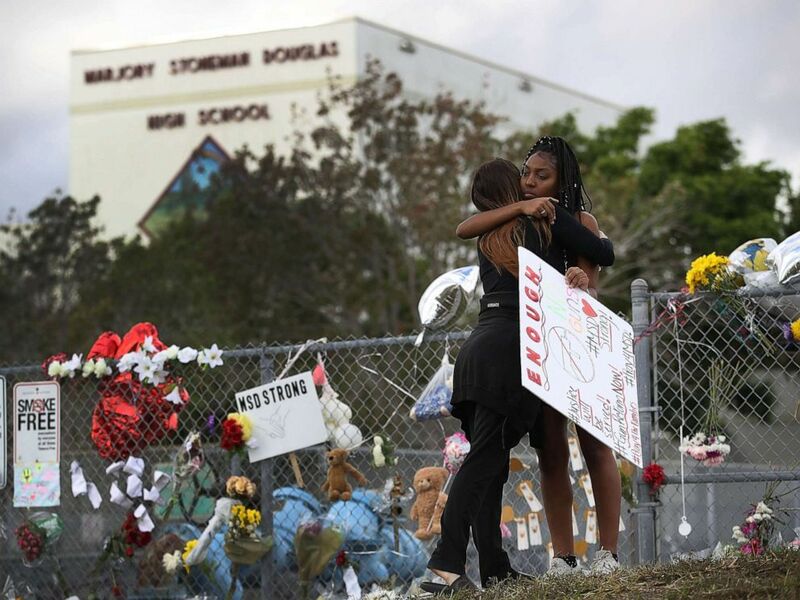 Tyra Heman, right, a senior at Marjory Stoneman Douglas High School, is hugged by Rachael Buto in front of the school where 17 people were killed in a mass shooting, Feb. 19, 2018 in Parkland, Fla. The worst shooting in 2018 was in February when a student gunman allegedly opened fire at Stoneman Douglas High School in Parkland, Florida, killing 17 people, the eighth largest number of deaths of any active shooter incident. Twenty-three of the 27 shooters were male, but that should come as no surprise given Secret Service data that profiled mass shooters. The FBI says 16 of the 27 shootings took place in businesses and five were committed in "education environments." 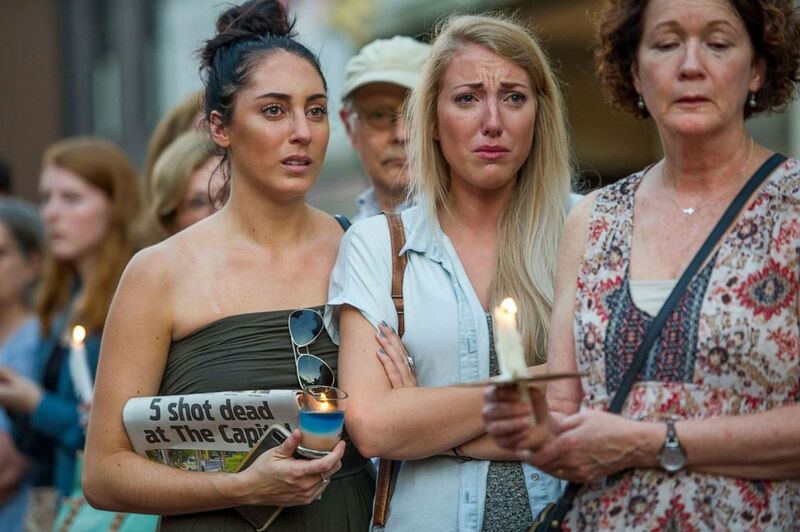 People march during a candle light vigil to remember the five journalists from The Capital Gazette newspaper in Annapolis, Md., June 29, 2018. The Capital Gazette newspaper in Annapolis, Maryland, in which prosecutors say a shooter walked into the newsroom and killed five people is categorized as a place of business by the FBI. One "education environment" the FBI talks about was Santa Fe High School, in Santa Fe, Texas, just outside of Houston, where 10 people were killed and 12 were injured according to the FBI. 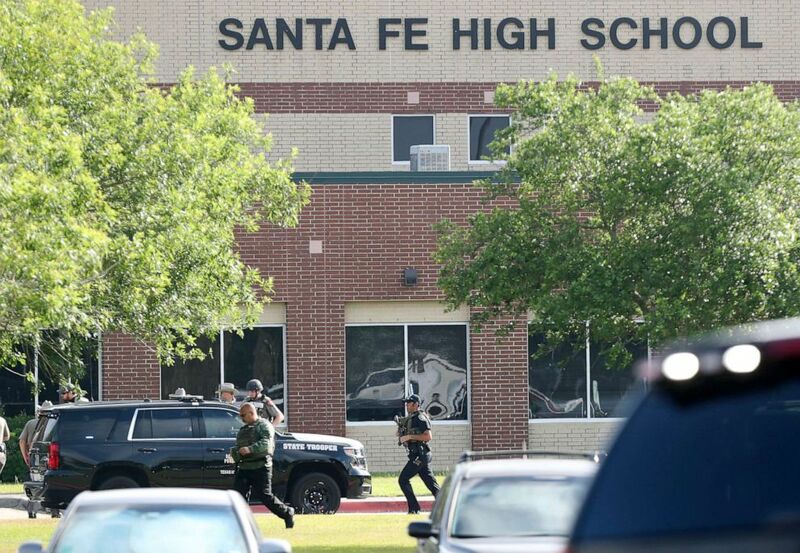 Law enforcement officers respond to Santa Fe High School after an active shooter was reported on campus, May 18, 2018, in Santa Fe, Texas. Rabbi Eli Wilansky lights a candle after a mass shooting at Tree of Life Synagogue in Pittsburgh, Oct. 27, 2018. Only one shooting took place in an FBI-designated "house of worship" in 2018, and that was the shooting at the Tree of Life Shooting synagogue in Pittsburgh, Pennsylvani, which claimed 11 lives. The FBI says the youngest active shooter was 13-years-old, a male student who walked into Noblesville West Middle School in Noblesville, Indiana, allegedly with two hand guns and opened fire. The FBI says law enforcement must remain vigilant and "train aggressively." "The FBI remains committed to assisting state, local, tribal, and campus law enforcement in its active shooter prevention, response, and recovery efforts," the report said.